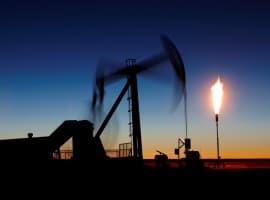 U.S West Texas Intermediate and international-benchmark Brent crude oil futures were trading near an 8-week high as of early Friday after posting four straight sessions of higher closes. Support continued to be provided by last week’s huge inventory draw down as reported in Tuesday’s American Petroleum Institute’s report and Wednesday’s U.S. Energy Information Administration’s inventories report. 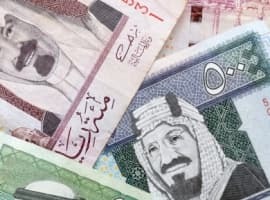 Buyers also like Saudi Arabia’s plan to cut exports. 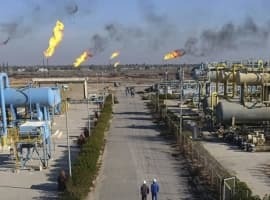 Late Tuesday, industry group the American Petroleum Institute reported U.S. crude stockpiles fell by 10.2 million barrels the week-ending July 21. This helped provide support early in the session. On Wednesday, the U.S. Energy Information Administration reported a 7.2 million barrel drop in inventories last week. Investors were looking for a 3.3 million barrel draw. The draw was the fourth consecutive drop, indicating a trend and giving support to the market. Gasoline inventories fell by 1 million barrels. Analysts were looking for a 614,000-barrel drop. Distillate stockpiles declined by 1.9 million barrels, versus expectations for a 453,000-barrel drawdown.